eah, don’t get confused. You won’t find any curry here. Just good, honest Portuguese cuisine recommended and enjoyed by Lisboetas. 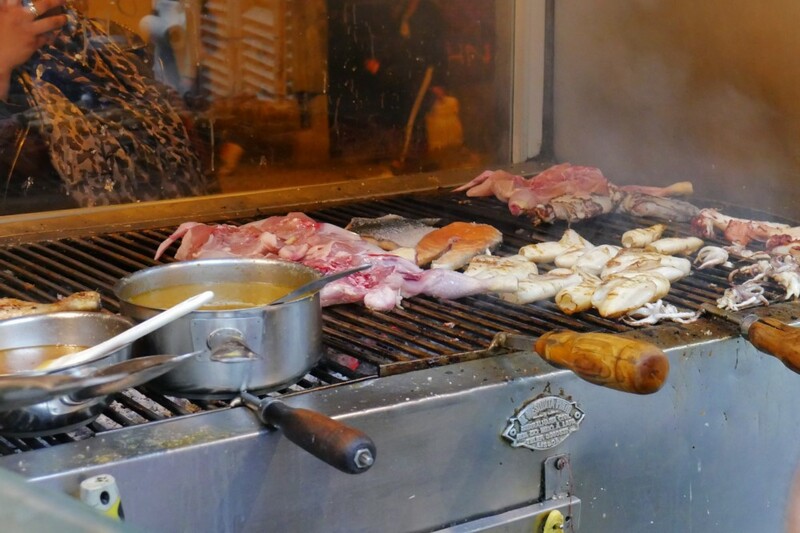 It’s one of the many restaurants in town where, while standing outside studying the menu, you can peer through the window and watch said menu taking shape on the charcoal grill. It seems to be perennially busy and the idea of reserving a table doesn’t seem to fit so just prepare to stand in the way for a little while. It shouldn’t be too long, however, as the servers work at a relentless pace – each keeping a huge number of diners topped up with drinks, snacks, plates of tiny snails while the grill master works with a speed and finesse that suggests it’s not his first day on the job. Just prepare to stand in the way for a little while. It shouldn’t be too long. 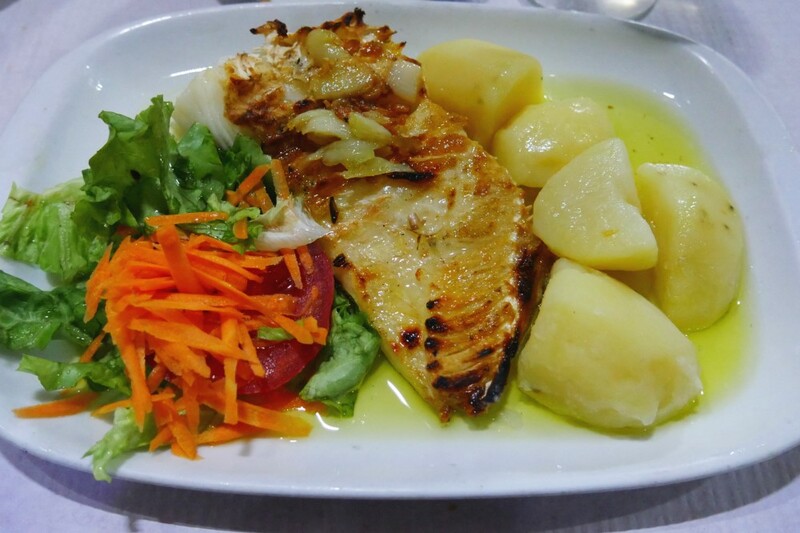 The menu is reassuringly straightforward and I opted for what had come to believe was the most Portuguese of Portuguese dishes – Bacalhau Grelhado (grilled saltcod). It’s the kind of dish that proves you don’t need to get particularly fancy, – just take good quality, fresh ingredients; cook (grill) them well and enjoy. Another advantage of cooking with fire became especially apparent during the evening when there was a power cut along the street, the lights went out and everybody cheered – presumably because they knew that their dinner would still be cooking away uninterrupted and the sudden absence of an extractor fan filled the room with a mouthwatering scent of chicken and fish over glowing coals. Don’t try this one at home though, folks, don’t barbecue indoors! Normal service was soon resumed and it was back to washing down the salty cod with plenty of Vinho Verde and trying to tune into the animated discussion next door about Benfica’s latest match.